I recently noticed that most days, I never take my wallet out of my pocket at work. I always bring my lunch, and since I don't need to pay for anything else during the day, my wallet is basically dead weight. I decided to stop carrying it around altogether. This walletless arrangement was convenient while I was at work, but I needed to remember it when I stopped to buy groceries or gas on the way home. After ending up in the checkout line without a way to pay a few times, I decided to set up mobile payment on my smartphone to avoid needing to run out to my car every time I forgot my wallet. 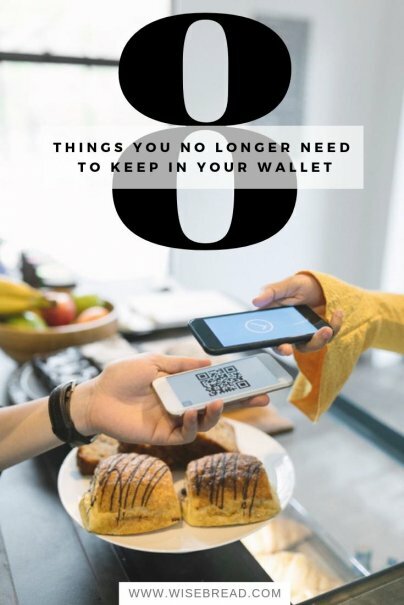 Mobile wallets allow you to use your smartphone instead of a credit card or cash to pay at a growing number of stores and restaurants. These apps are linked to one or more of your credit card accounts and transmit a payment code via near-field communication (NFC) technology to the retail terminal. Security measures are similar to using a chip card that produces a unique payment code for each transaction. Writing a check is one way to transfer money to someone else, but there are apps out there today that allow you to send money from your bank account to anyone simply by using their email address or username. Using a money transfer app means you don't need to carry checks in your wallet anymore. My coupon collection outgrew my wallet and overflowed into a small accordion file that I keep in my car. Is there any way to replace all of these paper coupons with something more convenient? The answer is yes; there's an app for that. I used to carry several store loyalty cards in my wallet. These cards have a barcode on the back that the cashier scans so you can get perks and discounts when you shop at your favorite stores. But since you can ask the cashier to look up your store loyalty account using your phone number, you really don't need to carry the card around in your wallet. If you want a way to use loyalty cards without looking it up with your phone number, there are smartphone apps that can carry digital copies of your store loyalty cards. Another thing that keeps my wallet fat is business cards and small pieces of paper with important information written down — addresses, phone numbers, travel rewards program account numbers, and my consignment store account numbers. There's no longer a reason to carry stuff like this around and risk losing it or having it stolen. There are apps that let you store digital notes and keep contact information organized and available all the time. Every six months, I get new insurance cards for my car insurance policy and put one in my wallet. I also carry cards for my health, dental, and vision insurance policies. If you're putting your wallet on a diet, you can get digital insurance cards from many insurance providers to keep on your smartphone. If you want to take matters into your own hands, you can simply take a photo of your insurance cards and show the photo when someone needs your insurance information. Wallet-sized photos were made for carrying around in your, well, wallet. But it has been decades since I've shown anyone photos in my wallet — I use my phone instead. I can store thousands of photos on my phone versus only a few in my wallet. Not to mention I can take pictures with my phone, too. It can be handy to keep receipts in your wallet in case you need to return something, but this can quickly make your wallet unwieldy. Use a smartphone app instead to digitize and organize your receipts and slim down your wallet.